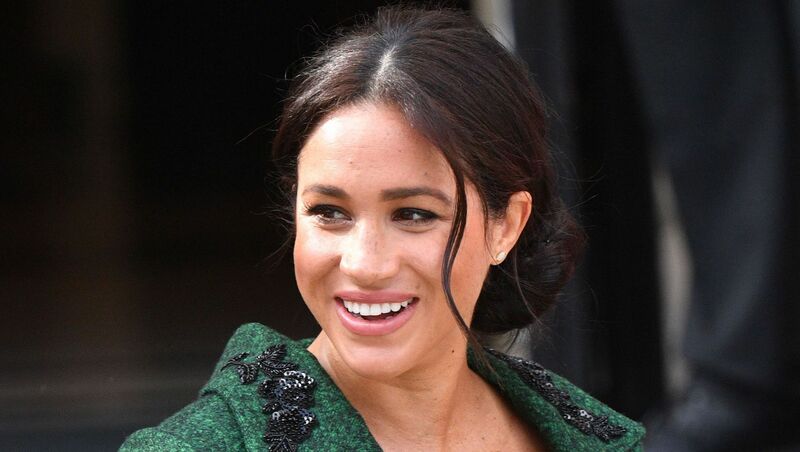 Tea alert: Dickie Arbiter, Queen Elizabeth II’s former press rep, recently tossed some serious shade about Duchess Meghan (nee Markle) and her oh-so American baby-shower ways. And, honestly, we and George Clooney are getting pretty fed up with all this gossip over Meghan’s supposedly “lavish” lifestyle and “bossy” ways. Heck, even Jay-Z and Beyoncé have had enough of the vilification of the Duchess of Sussex in the press. The Sun also reported in the same piece that tennis icon Serena Williams was the one who paid the tab for the NYC baby shower. Dickie Arbiter is an old South African who grew up under apartheid. We know where he stands. Prince Harry knows #RacistRoyalReporters are out in full force to criticize every move his wife makes with racist dogwhistle articles, so naturally he’s protective of his beloved wife. Today Dickie Arbiter reminded us he’s one of those reporters. Arbiter was cagey when pressed on rumors that the Duchess of Sussex is being fêted with a second shower in England, with Prince Harry in attendance. Us recently reported that Duchess Catherine — that’s Kate Middleton to you and us — will be hosting that event (which also seems to disprove rumors that tensions are running high between the two duchess-in-laws). 1) Meghan would not have had her NYC shower without prior approval from the Queen and Prince Charles — the royal family is watching its budget too (not to mention the health and well-being of any of its possible heirs to the throne and mothers of such heirs). 2) Kate would not throw a second shower for Meghan without the Queen and Prince Charles’ approval. Have you met Kate? No, we haven’t either, but we know the Duchess of Cambridge usually plays by the rules — in beautiful style. Enough with the Meghan bashing. Hey, it’s not every day you’re a successful-on-your-own, feminist, activist mama-to-be with homes — and friends — on two continents and you’re about to birth a wee bairn into the public eye. Party on, Meghan.